1. 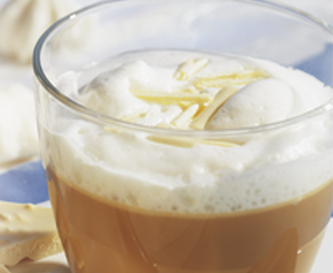 Mix the coffee with the advocaat and pour into glasses. 2. 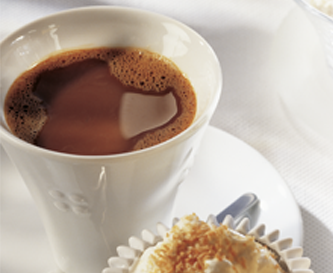 Whip the cream and sugar until stiff and add to the glasses. Garnish with cocoa powder. 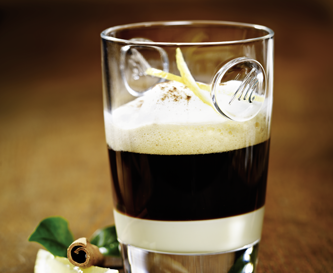 Pour the Mozart Black Liqueur and the Liqueur 43 into a glass and add the espresso. 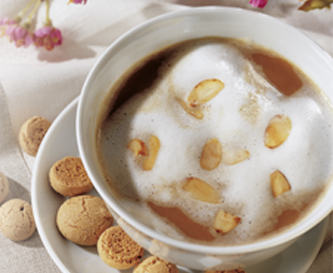 Decorate with a touch of frothed milk. 1. Roast the flaked almonds until golden brown in a non stick pan without oil. 2. 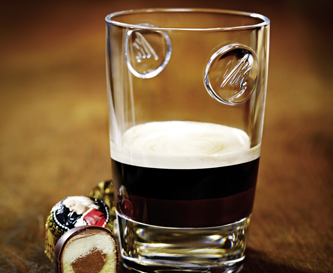 Add the liqueur to the coffee and pour into tall glasses. Heat the milk, froth it up and pour over the coffee. 3. Sweeten to taste and sprinkle on the flaked almonds. 1. Heat the milk and stir in the cocoa and sugar. 2.Add the coffee and the sherry and pour into four glasses. Garnish each glass with a teaspoon of grated dark chocolate. 1. 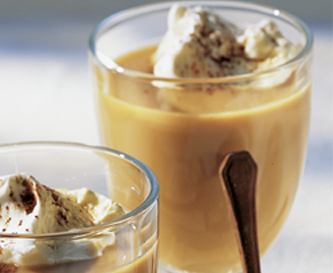 Pour condensed milk into the glasses to a depth of 1 or 2 centimetres. 2. Heat the milk, froth it up and add as a second layer. 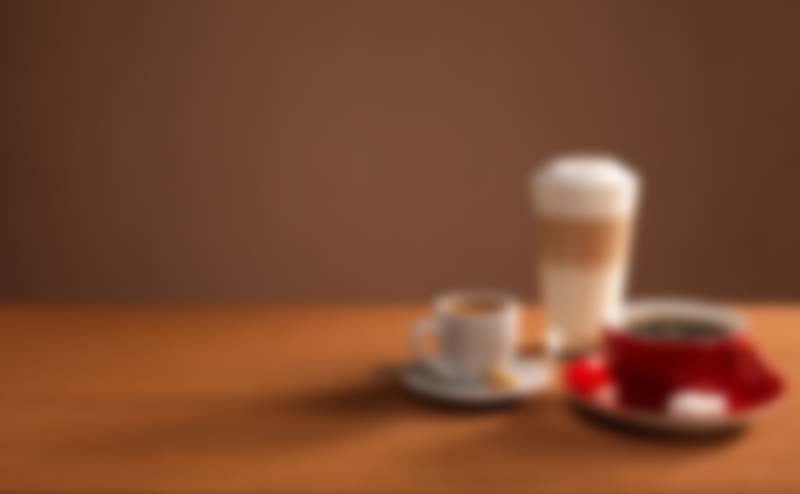 Finally pour in the freshly brewed coffee and season with the lemon peel. Frothed milk and brown sugar to taste. 2. Add frothed milk and brown sugar according to taste. Caramel sticks make a great extra. 1.Put the white chocolate in a heat proof bowl, put the bowl in a pot of water and heat until the chocolate melts, stir in the hot coffee and pour into decorative glasses. 2. Heat the milk, froth it up and pour over the coffee. Stir well and sprinkle with grated white chocolate. 1. Roast the dessicated coconut until golden brown in a non-stick pan without oil. pour into the glasses and garnish with dessicated coconut. 1. Pour 1 or 2 centimetres of condensed milk into each glass. 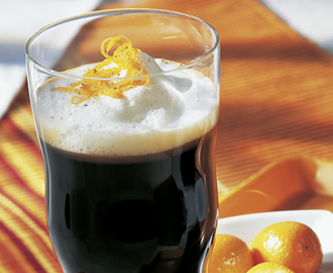 Carefully pour in the coffee liqueur and orange liqueur, then add the coffee. 2. 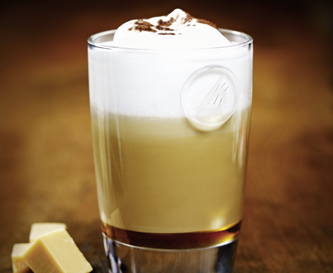 Heat the milk, froth it up and fill the glasses with it. Garnish with grated nutmeg and the orange peel. 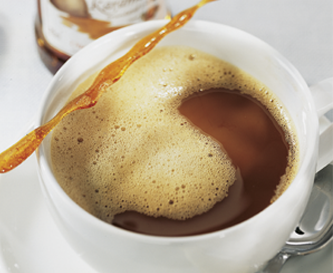 Pour the caramel syrup, pitú and cream into a glass. 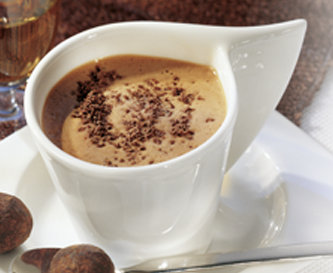 Fill up with a capuccino and decorate with cocoa powder. 1. Mix the coffee with the grappa and pour into the cups. 2. 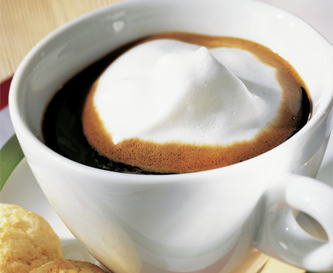 Heat the milk, froth it up and garnish the coffee with a topping of frothed milk. 1. Roast the dessicated coconut in a pan without oil until golden brown. 2. Whip the cream with sugar until it is stiff and then stir in the dessicated coconut. 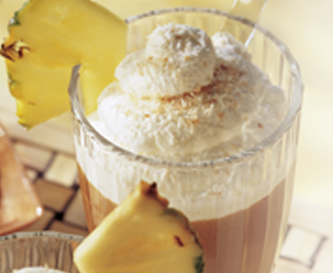 Heat the pineapple juice and coconut milk, mix it with the hot coffee and pour into decorative glasses. 3.Add 1 cl of coconut syrup to each glass and sweeten to taste. Top with cream, garnish with dessicated coconut and stick a pineapple slice on the rim of the glass as decoration.